Raise your voice in cheer! 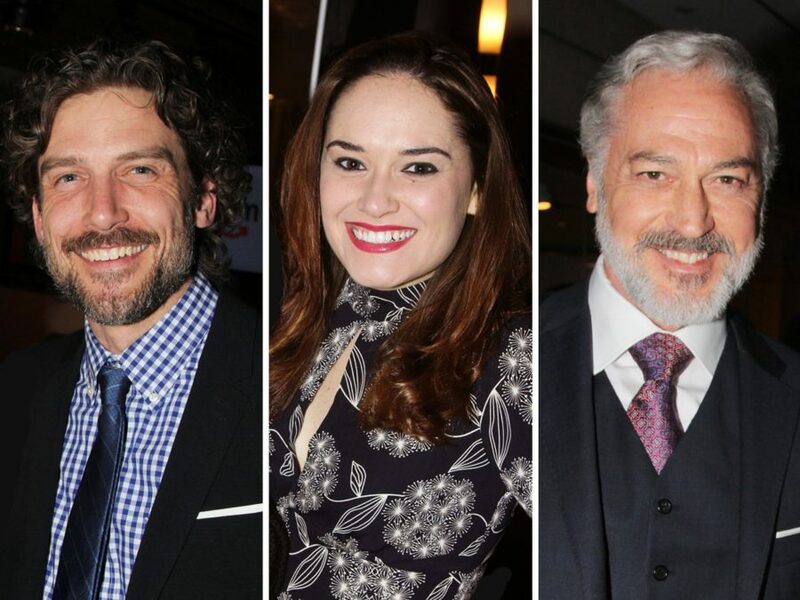 Broadway favorites Kevin Kern, Christine Dwyer and Tony nominee Tom Hewitt will star as J.M. Barrie, Sylvia Llewelyn Davies and Charles Froman/Captain Hook, respectively, in the upcoming national tour of Finding Neverland. The touring production of the Broadway.com Audience Choice Award-winning musical will launch on October 11 in Buffalo, NY, before continuing to additional cities across the country. Kern was the J.M. Barrie understudy in the Broadway production of Finding Neverland. His other Great White Way credits include The Bridges of Madison County, First Date, The Wedding Singer, Wicked and Les Miserables. Dwyer has starred as Elphaba in the Broadway and touring productions of Wicked and was also part of the Rent national tour. Hewitt received a 2001 Tony Award nomination for his performance as Frank 'N' Furter in The Rocky Horror Show. His other Broadway credits include Amazing Grace, Doctor Zhivago, Jesus Christ Superstar and Dracula. In addition to Kern, Dwyer and Hewitt, the cast of the Finding Neverland tour will feature Joanna Glushak as Mrs. Du Maurier, Jordan Cole as Michael, Finn Faulconer as George, Ben Krieger as Peter/George, Jacob Morrell as Michael/Jack, Gregory Trechel as Peter/Jack and Mitchell Wray as Peter/Jack. The ensemble includes Cameron Bond, Sarah Charles, Adrianne Chu, Calvin Cooper, Dwelvan David, Josh Drake, Victoria Huston-Elem, Crystal Kellogg, Melissa Hunter McCann, Connor McRory, Thomas Miller, Courtney Ortiz, Noah Plomgren, Matthew Quinn, Corey Rives, Dee Tomasetta, Lael Van Keuren and Matt Wolpe.